Father Peter Gregory is the new chaplain for Soldier On, Thursday, February 28, 2019. Gregory is very active in the community eve though he retired from St. Charles Church two years ago. PITTSFIELD — The Rev. Peter Gregory’s four decades-plus of priesthood is one of destiny. For 28 years, the city native was pastor of St. Charles Church in Pittsfield, where he was baptized as a child and his parents exchanged vows. Now, two years after leaving his pastoral duties behind, the Air Force veteran has been called to help homeless veterans get back on their feet. Soldier On has named Gregory its new chaplain, succeeding the Rev. Quentin Chin, who left the position in December. Before entering the priesthood, Gregory served full time in the Air Force from 1962 to 1966, continuing as a reservist until 1995. He credits the military training with giving him structure, discipline and the experience of the outside world that have served him well as pastor. Gregory sees his latest calling as divine destiny. “I’ve come full circle. I believe this came from the Lord — Holy Spirit-sent,” he told The Eagle on Thursday, his first day on the job. Soldier On Executive Vice President John “Jack” Downing finds Gregory a perfect fit as the agency’s chaplain. Gregory, who will be based in Pittsfield, will lead nondenominational spiritual and religious groups and conduct monthly masses in Pittsfield, Leeds, Agawam and Chicopee. The four Soldier On locations serve up to 450 homeless veterans. There are 250 in transitional programs, with an additional 200 living in permanent housing, according to Soldier On officials. Gregory also is a part of the nonprofit’s Higher Level of Care Team, an outreach service to former Soldier On residents in assisted living and nursing homes. “There’s a wonderful spirit here of helping veterans, some broken, but we’re trying to rebuild them,” he said. Soldier On works in partnership with the U.S. Department of Veterans Affairs and other agencies to provide veterans with shelter and support toward independence that includes homeownership. 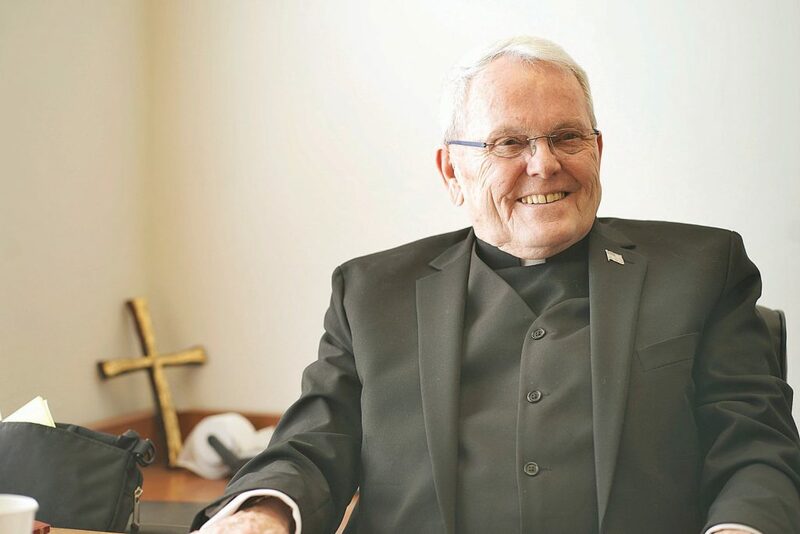 Gregory already had informal ties to Soldier On, being a longtime friend of Downing and CEO Bruce Buckley’s children raised Catholic at St. Charles. “He has real passion and compassion that he has brought to my family,” Buckley said. After the ordination July 7, 1973, Gregory was named associate pastor at St. Joseph Church in Pittsfield. The clergyman would later hold several other ministerial positions in the Springfield and Albany, N.Y., area before heading overseas to Belgium in 1983. Gregory spent five years as pastor of Our Lady of Mercy Parish in Brussels and taught in Belgium, before returning to the states as chaplain of Mercy Hospital of Springfield. Gregory was named pastor of St. Charles in 1989. From there, he also has served as chaplain to several groups, including the Pittsfield Fire Department. He remains the spiritual voice of the city firefighters. Being Soldier On’s first Catholic chaplain isn’t an issue for Gregory or the veterans he has met so far. December 5, 2018 – Hope LoanPort (HLP) and Soldier On announced today that the two organizations have implemented a new, comprehensive program to help military veterans achieve and sustain homeownership. This multi-faceted initiative is designed to ensure our nation’s heroes have access to safe, secure and sustainable housing and it expands Soldier On’s service reach to a national level. Veterans Homeownership Center. A national call center (888-288-3184) and program website soldieronsuccess.org will connect veterans on a path to homeownership and assistance in maintaining affordable housing and homeownership. The dedicated team versed in home retention strategies and resources unique to active military and veterans will work with homeowners. Housing counselors from HUD-approved counseling agencies will provide a range of services including pre-purchase coaching, post-purchase support, foreclosure prevention counseling, loan modifications and workouts, refinancing analysis and reverse mortgage counseling. Homes for Veterans. 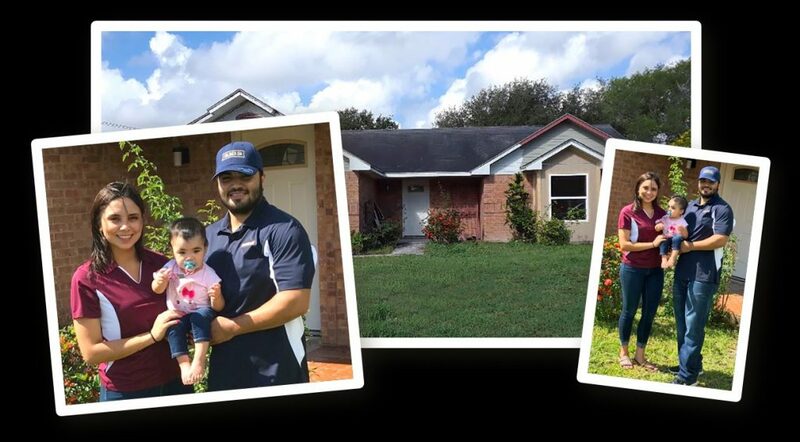 This program creates affordable, sustainable homes for veterans by accepting Real-Estate owned properties from mortgage servicers and investors and renovating them to match homes in the neighborhood and specific veteran needs. Veterans accepted into the program receive 36 months of assistance via an individualized plan that ensures they are financially prepared and confident. Veterans who reach readiness goals can purchase the home at a 50-70% of appraised value. Post-purchase support assists in making lifestyle adjustments, setting goals and prioritizing choices, plus add Soldier On’s best-in-class expertise to ensure access to all needed resources. Credit Education through HLPGuru and Credit Smart. This program will offer veterans access to CreditSmart®, Freddie Mac’s multilingual financial education curriculum designed to help consumers build and maintain better credit, make sound financial decisions, and understand the steps to sustainable homeownership. In addition, veterans will also have access to HLP.guru, a new app that connects a tech-savvy generation of consumers with advanced analytics about a person’s credit score, borrowing capacity and other critical information to help them become homeowners. Fair Housing Education. HLP and Soldier On are part of a collaboration of five nonprofit organizations joined to identify, educate, and advocate for potential victims of fair housing discrimination in communities across the nation. This collaborative will provide 3,167 hours of fair housing education to 14,000 potential discrimination victims and to the non-profit housing counseling and advocacy groups that serve them. Veterans who have experienced discrimination will also be able to submit a complaint through the HLP system. While both organizations have long histories of working with veterans, HLP and Soldier On believe that bringing two best-in-class providers together will dramatically improve the customer experience and success rate. HLP is a unique collaborative created in 2009 that engages the key stakeholders who work with families on homeownership – nonprofit counselors, advocates, mortgage lenders, servicers and investors, attorneys and government agencies. Being a national, neutral, nonprofit organization allows us to listen to all the parties and build solutions that support homeowners and incorporate the unique needs of all stakeholders. As a result, HLP unifies the housing industry by helping individuals and families achieve and sustain homeownership. Stakeholders share information with each other via our technology platform and collaborate to find solutions to help homeowners. To date, we have helped more than 700,000 homeowners during their time of need. Soldier On is a nationally recognized non-profit organization governed by a full-time President, CEO and a volunteer Board of Directors. We work in partnership with the Department of Veterans Affairs and other agencies to provide veterans with shelter and support in an environment that offers dignity, integrity, and, most importantly, hope. Our mission is to offer a continuum of care that includes immediate and long-term housing with services delivered where they live. Soldier On’s ultimate goal is to provide formerly homeless veterans with permanent, supportive, sustainable housing – assisting them in their transition from homelessness to homeownership. Three national organizations have come together to help turn Real Estate Owned (REO) properties into affordable, sustainable homes for Veterans. There is a compelling need for this collaboration, as a sizeable number of Veterans face daunting challenges to becoming homeowners due to financial, physical and emotional issues. Soldier On, HLP and Citibank are working together to provide eligible Veterans and their families with a rehabilitated, single family residences along with the support and guidance necessary to maintain successful, independent permanent housing. The “Homes for Veterans” program is committed to changing the end of the story for military Veterans, and the program addresses the two key components of success – offering the right property and providing ongoing education and support. Citi is donating these properties for the program. 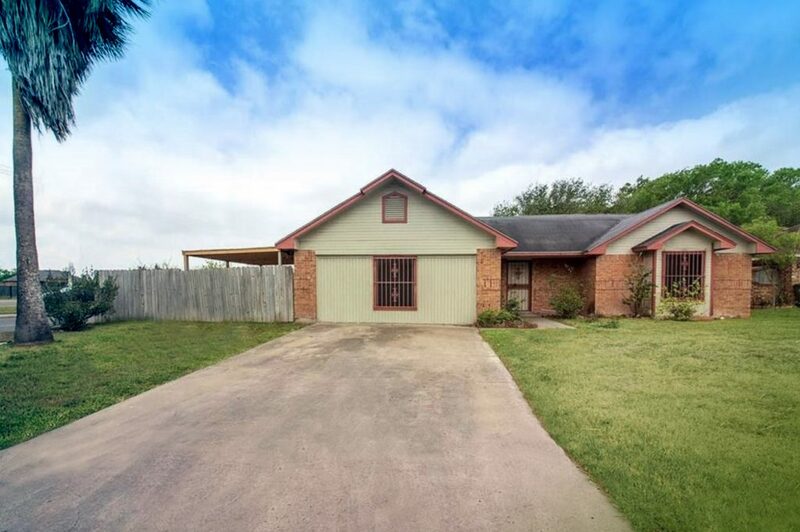 The properties selected are then rehabilitated to a standard comparable to other properties in the neighborhood, and to include any modifications or accommodations needed by the Veteran. Soldier On and HLP will work with the Veteran for 36 months to help ensure their success. By providing an individualized service plan with a timetable for achievement of pre-established goals, we’ll be certain the Veteran is prepared financially and is confident about their ability to tackle homeownership. We’ll also assist them make a successful transition, by supporting lifestyle adjustments, setting goals and prioritizing choices. All this work is coordinated with Soldier On’s best-in-class expertise to ensure Veterans get access to all the programs and resources they need and deserve. Many other organizations are joining in to help our military Veteran families with this opportunity to achieve the American Dream. Current partners include Kathy Ireland and Tommy Mehary of Kathy Ireland Worldwide; SG Blocks; Star Flooring; YourHome1Source; and Lennox Heating and Cooling; and others are being added monthly. We are excited to announce the completion of the first of hopefully hundreds of Homes for Veterans all across the country. We are thrilled to announce that our first Veteran selected in the great state of Texas is Homer Reyna, an Honorably Discharged US Marine. We are presenting Homer, his wife Paulene, and their daughter, Ella, with keys to their new Brownsville home on Friday October 12th. Soldier On, HLP and Citi are grateful for the opportunity to participate in this year’s Tribute to Valor gathering, and humbled to join America’s most distinguished Veteran’s advocacies in honoring our country’s heroes. We share a common goal of addressing the needs of our heroes by providing a stable support system for our active and retired service members, their families, and those who will be serving in the future. We are proud to join Cendera Funding in welcoming our Nation’s Medal of Honor Recipients, America’s service members, Veterans, and families, in support of this wonderful cause to benefit the children and spouses of our Nation’s military service members who have paid the ultimate sacrifice serving our Country since 9-11. BROOKLYN, N.Y.–(BUSINESS WIRE)–SG Blocks, Inc. (NASDAQ: SGBX), a leading designer, fabricator and innovator of container-based structures, has partnered with SOLDIER ON, a nonprofit organization whose mission is to end veteran homelessness and provide veteran supportive services, using donated lands, for veterans in need across the United States. Subsequent to the closing of the partnership Soldier On has identified five sites for potential development in selected markets. 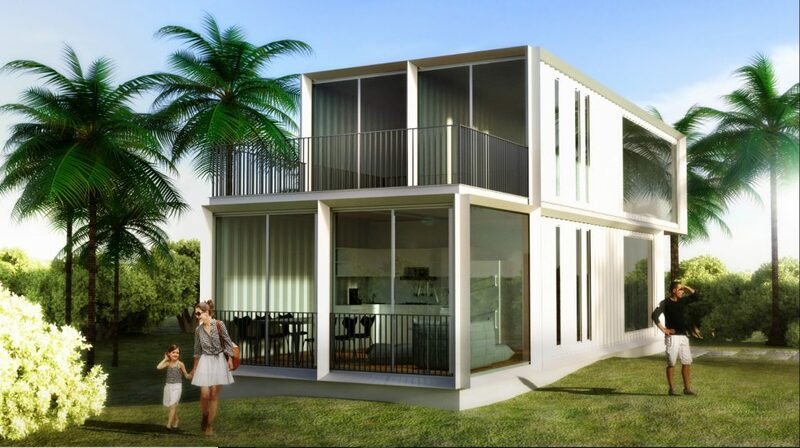 SG Blocks’ newly-formed subsidiary SG Residential will be the exclusive provider of modular single-family and multi-family homes for Soldier On. 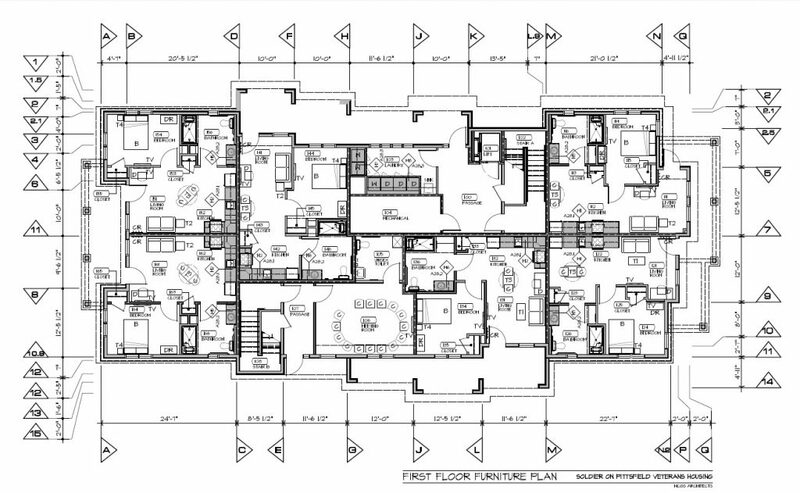 The firm will deliver design and engineering renderings for all manufactured homes and partner with local contractors, preferably veteran-owned, for site work and install. Grimshaw Architects will be bringing its design expertise to SG Residential and is well-versed in affordable housing design and universal design. SG Blocks will also introduce financing partners to assist the veterans with financing. According to a 2017 report by the U.S. Department of Housing and Urban Development, there are over 40,000 homeless veterans. SG Blocks utilizes code-engineered cargo shipping containers to construct and provide safe, durable and environmentally-friendly structures. It has an exclusive ESR number, which was granted by the International Code Council and ensures its ability to meet and exceed all international building codes. Clients have included Starbucks, Marriott, Taco Bell, Aman, Equinox and several branches of the U.S. military. SG Blocks, Inc. is a premier innovator in advancing and promoting the use of code-engineered cargo shipping containers for safe and sustainable construction. The firm offers a product that exceeds many standard building code requirements, and also supports developers, architects, builders and owners in achieving greener construction, faster execution, and stronger buildings of higher value. Each project starts with GreenSteel™, the structural core and shell of an SG Blocks building, and then customized to client specifications. For more information, visit www.sgblocks.com. 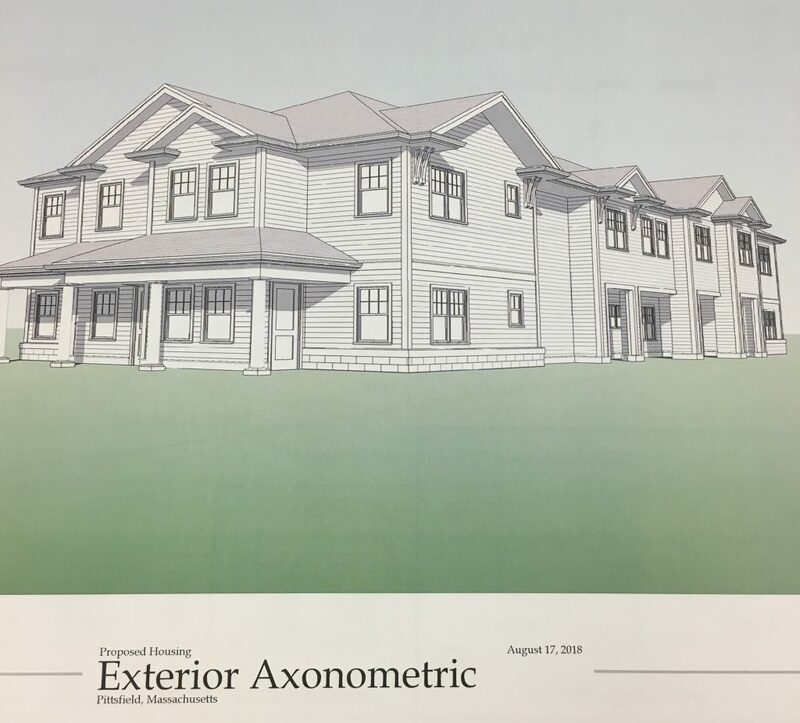 PITTSFIELD — Soldier On has received $125,000 in predevelopment financing from the Community Economic Development Assistance Corporation to develop affordable housing in Pittsfield. 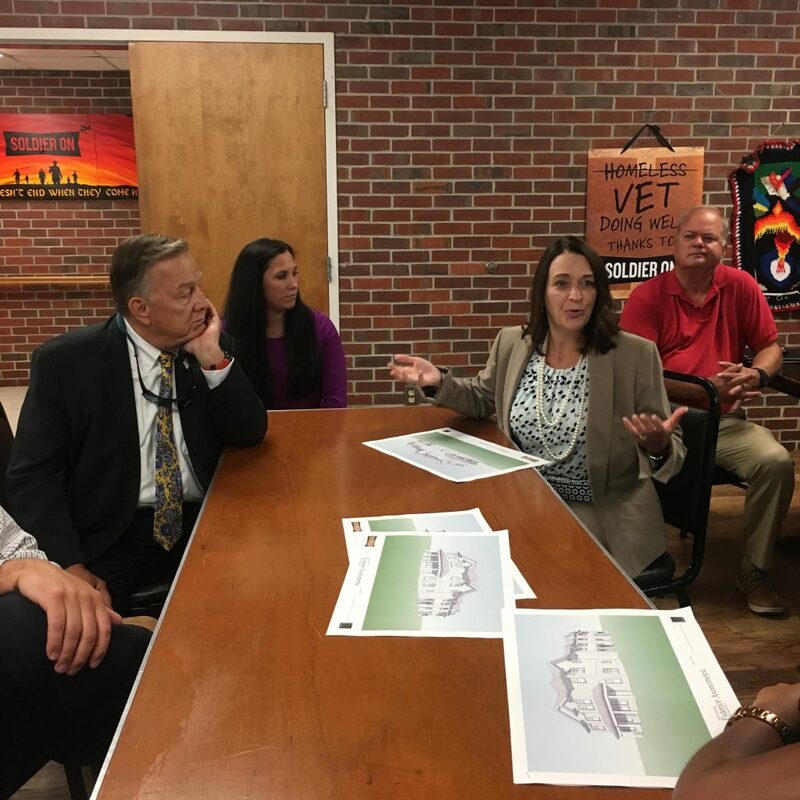 The organization is proposing to develop 14 units of permanent supportive housing serving veterans as part of its Gordon H. Mansfield Veterans Village — Phase II project. CEDAC previously committed $125,000 in predevelopment loans to Soldier On, which provides both affordable housing and supportive services to help end veteran homelessness. CEDAC has also approved a $65,000 commitment for technical services to help Worcester Common Gound Inc. developed 31 units of affordable housing in that city. CEDAC is a public-private community development finance institution that provides financial resources and technical expertise for community-based and other non-profit organizations engaged in effective community development in Massachusetts. On Friday, August 17th Pittsfield Mayor, Linda Tyer toured Soldier On’s Pittsfield campus to see the site where the women’e permanent housing facility will be. Soldier On plans to break ground this fall. In an effort to provide affordable housing for Military Veterans, Soldier On and HLP kicked off their new “Homes for Veterans” program this past weekend at the National Fantasy Football Convention in Fort Worth, Texas. The two nonprofit organizations have joined forces with mortgage companies to receive donations of foreclosed homes. Once the homes have been renovated, they will be offered for sale at deeply discounted prices to Military Veterans and their families. 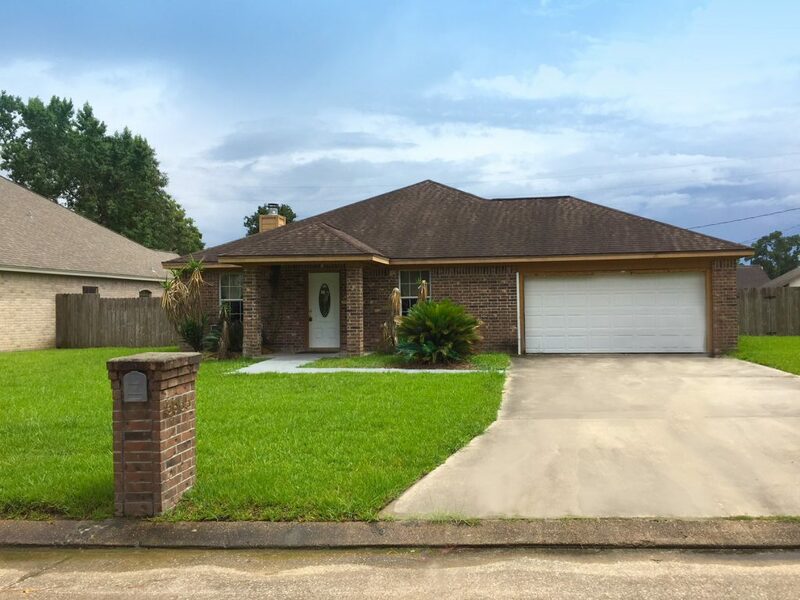 Citi Mortgage has provided the first two homes, one each in Beaumont, Texas and Brownsville, Texas. 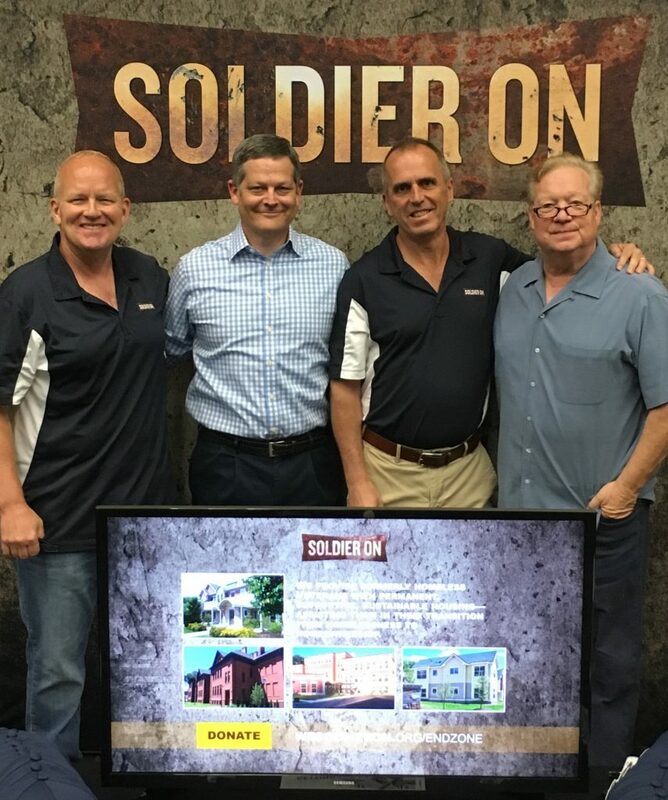 Working with a variety of suppliers in the housing industry, Soldier On will renovate the homes and make them “move-in ready” for Veterans. Soldier On will also lead the evaluation and selection process of potential Veterans for the program. Once a Veteran is selected for the home, HLP will provide financial coaching to prepare the families for homeownership. The coaching involves developing a monthly budget, paying down debt and building their credit score and savings. HLP will continue work with the new homeowner to keep their financial plan on-track, ensure mortgage payments are made on-time and offer ongoing support. Soldier On will provide transitional services and connections to other Veterans’ programs to the new homeowners. Col. David Sutherland of Dixon Center for Military & Veterans Services, Mark Cole President & CEO of HLP, Bruce Buckley CEO of Soldier On, and Lee Shaw. Soldier On is making its move to find property in Daytona Beach to build homes for the homeless. Comments Off on Soldier On is making its move to find property in Daytona Beach to build homes for the homeless. 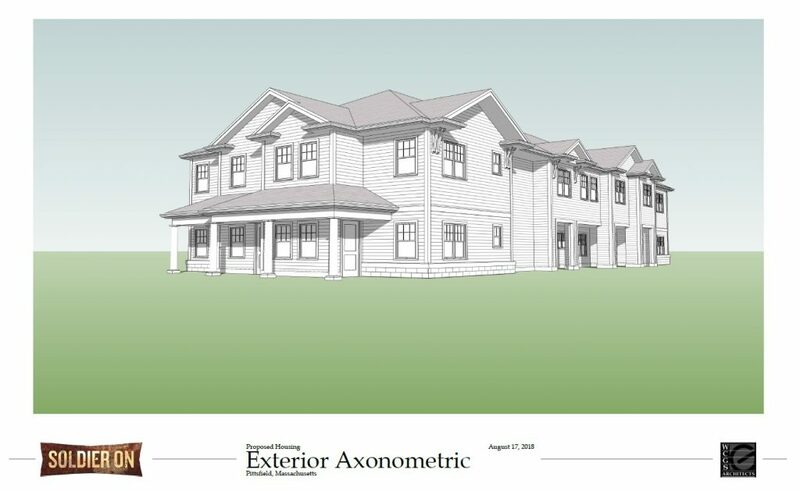 A Massachusetts-based nonprofit is looking at building a complex of permanent homes for the homeless in Daytona Beach. DAYTONA BEACH – When local leaders started sparring over whether to build a new homeless shelter, a four-year tug of war broke out between emergency shelter advocates and permanent housing supporters. Now it looks like both sides are going to get what they want. Construction is underway on the 100-bed First Step Shelter slated to open next year. And a Massachusetts-based nonprofit called Soldier On is making its move to find property in Daytona Beach to build homes for the homeless. Soldier On’s plan is to construct apartments or town home-style units the once-homeless residents could stay in as long as they wanted. They could even become partial owners. Helping homeless people cobble together enough money from Social Security benefits, Veterans Administration assistance, federal housing vouchers and meager wages from part-time jobs to get a roof over their heads isn’t new in Volusia County. But the Soldier On project would mark the first time in county history that a large permanent housing complex was built exclusively for people coming off the streets. When local homeless people move into places of their own now, they’re connected with whatever housing works and they’re scattered around the area, sometimes shunned by neighbors who find out about their past. The Soldier On vision is for a cohesive village of formerly homeless people who understand and help one another, and have quick access to a plethora of support services. Nothing is definite yet, but Soldier On officials have their eye on a 17-acre property on George Engram Boulevard a short distance east of Nova Road. The site across from Bonner Elementary School, vacant since the public housing on it was demolished around 2006, is owned by the Daytona Beach Housing Authority. If Soldier On stays focused on that property just east of the Midtown Cultural and Educational Center, the Housing Authority’s board will ultimately decide whether to sell the land. Durham expects to give a presentation on the Soldier On proposal to the Housing Authority board at their next meeting. Since the Daytona Beach Housing Authority is in the process of hiring a new executive director, the board might wait for the new agency head to take the helm before making a decision. Henry said board members he’s spoken to “seem supportive of the project,” and he noted that the Housing Authority might be able to provide housing vouchers for residents of the new complex. If things fall into place, there could be new buildings on the site with space for 50-100 people within the next few years. There could even be a convenience store so the new residents, many who probably wouldn’t have cars, would have easy access to basic necessities. If the George Engram Boulevard property doesn’t work out, Soldier On officials say they’ve checked out other sites on their visits to Daytona Beach that could work. Local leaders who’ve seen Soldier On’s residential properties say they’re well-kept and attractive, and look like any other quality apartment buildings or town homes. Soldier On has helped more than 10,000 veterans over the past 25 years with everything from securing Veterans Administration benefits to finding jobs, and the agency bills itself as the largest provider of supportive services for veteran families in the United States. Up to now Soldier On has exclusively helped veterans, but the Daytona Beach property would welcome both former soldiers and non-soldiers, men and women. It would be for single adults, not families. At least to start, residents of the new housing would come mainly from First Step Shelter, which will also be for adults. Bruce Buckley, Soldier On’s president and CEO, said his agency would consider homeless people who don’t go to First Step, but priority will be given to those who go to that shelter, which is expected to open in about a year on a site near the Volusia County Branch Jail. On May 30, the First Step Shelter Board entered into a memorandum of understanding with Soldier On. The plan is for shelter residents who do what’s needed to get their lives back on track to advance from that emergency housing to permanent homes in the Soldier On village. But Soldier On isn’t asking the First Step board for any financial help. Fellow First Step board member Bill Hall, South Daytona’s mayor, also likes the plan. “I don’t think it can be a negative in any way,” Hall said. But some people who live and work near George Engram Boulevard are already worrying. “We try not to go anywhere we’re pushing our way into an area,” he said. Buckley said he’ll be back in Daytona Beach in a few weeks looking at sites. The center of the city that Ponder referred to has had Daytona Beach’s largest concentration of homeless assistance agencies for more than a decade. Attempts over the past few years to increase that concentration and locate a homeless shelter in the city’s historic core were met with powerful opposition in four different locations. But with homeless people and aggressive panhandlers more painfully visible than ever in the city’s center and beachside, many business owners and residents are running out of patience for the shelter and new housing to go up. Two local business owners told city commissioners at their meeting last week that the homeless have become more than just an avoidable annoyance. Jennifer Finno Ellis, who lives downtown and runs a Main Street tattoo parlor, told city commissioners she recently saw two panhandlers in a turf fight on the corner of Ridgewood Avenue and International Speedway Boulevard. She stepped in to try to help the older panhandler, and said she wound up being attacked by the younger vagrant. She was left with multiple injuries and she’s hobbling around on crutches now. Soldier On provides homeless veterans — as well as those at risk of becoming homeless — with personalized case management, legal help, financial assistance, transportation, basic medical and dental care, food, mental health counseling, treatment for addictions and life skills training. The agency also helps with everything from emergency shelter to transitional housing to permanent housing. All residents in Soldier On permanent housing are required to complete a life skills program that takes 15 hours and covers financial literacy, legal issues, rules and regulations, wellness and basic life skills. There are even Soldier On reintegration programs in jails and prisons. “There’s so many layers to addressing homelessness,” Henry said. Soldier On does not ban alcoholics and drug addicts from its properties, but it doesn’t allow illegal drug use in its homes and relapses are met with intervention efforts. For its first 16 years, Soldier On only offered veteran services. Then in 2010 the agency based in Pittsfield, Mass., branched out and started providing permanent housing, some newly built and some in rehabbed schools. The nonprofit owns and operates 177 affordable housing units in four Massachusetts cities. The organization says it’s expanding its housing now into New York, New Jersey, Mississippi and Florida. In Volusia County, other groups have proposed more elaborate versions of what Soldier On hopes to do in Daytona Beach, including one plan for a large homeless village west of Interstate 95 and another proposal for a sprawling homeless community just west of New Smyrna Beach. But those ideas never progressed beyond words and drawings on paper. Soldier On’s recipe for success has included a mix of tax credits, federal grants and loans to get its properties built. The agency spent $7 million on its first housing complex, which is located in Pittsfield, and opened seven years ago. 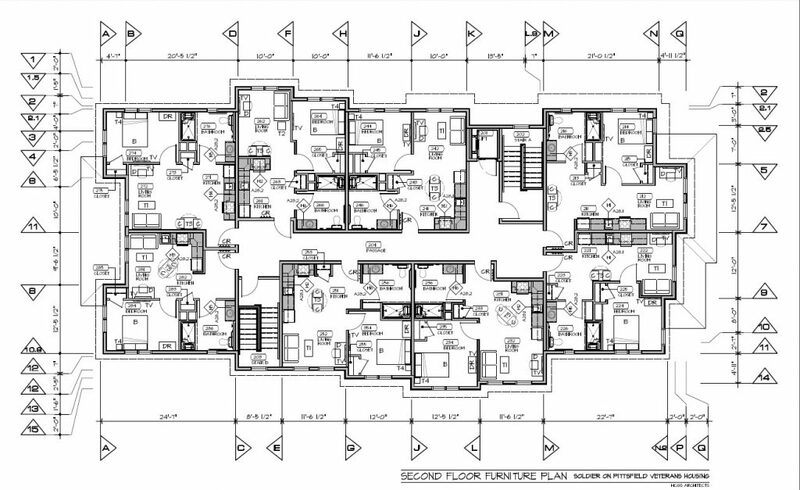 The average unit size is 525 square feet. Rent is $526 for a studio apartment and $582 for a one-bedroom home. The nonprofit says the Pittsfield property has a resident retention rate of more than 90 percent, and an occupancy rate of nearly 100 percent. Soldier On has three additional housing complexes in Massachusetts that opened in 2016 and 2017. It also has 19 permanent housing units scattered around Pittsfield, a western Massachusetts city of about 45,000. Its 44-unit property in Leeds, Mass., cost $10 million to build and furnish, and charges $883 per month for a one-bedroom apartment. A renovated elementary school in Chicopee, Mass., cost $9.8 million to turn into a 43-unit residence that also charges $883 monthly for a one-bedroom unit. Rent for the fully furnished units includes utilities, high-speed Internet access and basic cable. The units come with personal computers and 32-inch monitors that can also be used for watching TV, video conferencing for group counseling on everything from addictions to weight loss, and using Skype to connect with case managers and healthcare professionals. There are individually designed home screens with access to banking, VA benefits, medical services and prescription support. Two Massachusetts officials said they’ve heard only good things about Soldier On properties. Pete Gamble, a former executive director of the Daytona Beach Housing Authority, was the one who connected Daytona Beach and Soldier On. 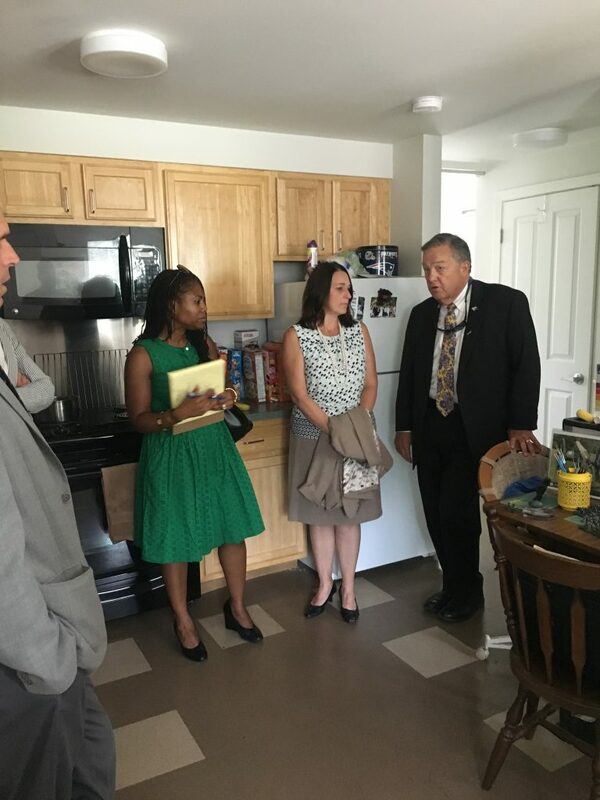 Three years ago, Gamble and the Housing Authority wanted to create a veterans village in Daytona Beach, so they went to Massachusetts to tour the Soldier On homes. “We were very impressed, so we tried to do the same thing here,” said Gamble, who was celebrated during his tenure for getting several new Daytona Beach Housing Authority properties built. Three sites in Daytona Beach were chosen as contenders for the housing. The current property on George Engram Boulevard was considered, as was land behind Campbell Middle School and property near the intersection of Mason Avenue and Bill France Boulevard. The effort failed, though, because “there was a lot of territorialism” among some Daytona Beach nonprofits, he said. “We couldn’t get the support of the social service providers, and some of the funding depended on them signing a letter of support,” Gamble said. Then six months ago, with First Step Shelter surging toward reality, Durham contacted Gamble to see if the Soldier On project could be revived. Gamble said he got everyone in touch with one another and then bowed out of the process since he retired from his position at the Housing Authority. But Gamble still believes in Soldier On. “They were the finest provider we saw,” he said. Gamble believes permanent housing is a vital part of keeping people from sliding back into homelessness. He noted that some homeless people need an alternative to Housing Authority apartments since they wouldn’t meet that organization’s standards for criminal records and credit history. The recently homeless also won’t be able to afford the climbing rents in the Daytona Beach area, and new First Step Shelter Executive Director Mark Geallis is afraid a new wave of homelessness could be coming. The city needs all the affordable housing it can get, Geallis said. A permanent housing program that could be the next step for people leaving the new First Step Shelter was discussed at the shelter board’s meeting Monday night. DAYTONA BEACH — The board that’s overseeing creation of a new homeless shelter hoped to open by the summer of 2019 is starting to plan for what will be done to help people after they leave the refuge for the unsheltered west of Interstate 95. At their meeting Monday night, members of the First Step Shelter Board had a lengthy conversation via Skype with three top officials of a Massachusetts-based program that provides homes to the homeless. The organization, Soldier On, is interested in building homes in Daytona Beach, and a large piece of open land on George Engram Boulevard next to the city’s Midtown Cultural & Educational Center has been targeted as a possible site for a new village for those with nowhere to go. The Daytona Beach Housing Authority controls the vacant property, which has been empty for more than 10 years, and would have to become a willing partner for that site to be used. Soldier On runs its programs on donations and government grants, and isn’t asking the First Step Shelter Board for any money toward the proposed project. “The gem and the jewel is they’re not asking you for anything,” said L. Ronald Durham, the city’s community relations manager and point person on the shelter. People who live in Soldier On homes help cover their bills with federal veterans benefits, Social Security assistance programs and income they earn if they work. Despite its name, Soldier On provides permanent housing both for veterans and nonveterans. Two members of the First Step Shelter Board were not at Monday’s meeting, but the five who were there voted unanimously to pursue an agreement with Soldier On. Once a formal agreement is drafted, it will be reviewed by City Attorney Robert Jagger and eventually voted on by the First Step board. Soldier On officials, who have visited Daytona Beach several times, can proceed with their effort with or without the First Step Shelter Board’s partnership. But the nonprofit is hoping to join forces with those running First Step so they can house and assist people as they graduate from the 100-bed shelter. “The key to the success of First Step is the second step,” Durham said. Soldier On, formed in 1994, also provides preventative support services and reintegration programs in jails and prisons. All residents in Soldier On housing are required to complete life skills programs, and the agency provides case managers, access to healthy meals, transportation and other programs. 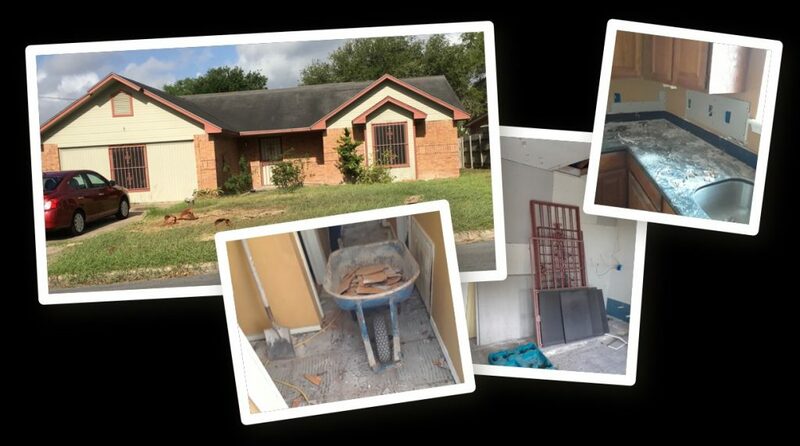 Since 2010, Soldier On has developed, constructed and managed several new and rehabbed permanent housing projects. The organization says one of its permanent housing cooperatives in Massachusetts provides homes for 39 homeless veterans and has a retention rate of 90 percent. Residents can become part owners of their new homes, and they are able to live in them permanently if they choose. Soldier On has about 200 housing units in Massachusetts, and has other veterans communities in development in New York, New Jersey and Mississippi. Pete Gamble, the former executive director of the Daytona Beach Housing Authority, said he tried several years ago to bring Soldier On housing to Daytona Beach. His vision was to put commercial uses on the first floor of buildings and residences above. But he wasn’t able to get enough support. Gamble said a few of Florida’s representatives in Washington, D.C., were willing to help secure funds, but local service agencies at the time didn’t like the idea of an outside agency coming in. Now Gamble is taking another shot at the effort. Gamble said he visited a Soldier On housing site in Massachusetts and was “very impressed” with both the buildings and the program’s connections to local government, clergy and the Veterans Administration. There was widespread support for the idea among those who spoke at Monday’s meeting at City Hall, including Chet Bell and Mark Geallis, both former heads of nonprofits that help the homeless. Henry added later that he’s “excited” and thinks Soldier On housing has “the potential to make a deep impact” in Daytona Beach. “We have to eventually explore something like this, so the the sooner the better,” the mayor said. “I’m very much encouraged with this,” echoed Chase Tramont, a First Step Board member and Port Orange City Council member. Durham gave a brief update on shelter construction at Monday’s meeting. He detailed some utility work being done, and said architectural plans are more than 30 percent complete. Durham’s update didn’t get into specifics for the new building’s construction. At the end of the Feb. 21 City Commission meeting, City Manager Jim Chisholm gave a presentation on the shelter construction timeline. A document the city put together for that presentation shows site and foundation construction being completed in late October, and vertical construction being complete in a year, on March 20 of next year to be exact. But the shelter wouldn’t open immediately. The records show the certificate of occupancy being issued on April 30, 2019, furnishings being complete on June 30, 2019, and operations starting at the shelter on July 15, 2019. The 100-bed shelter is being built on a city-owned 626-acre site near the Volusia County Branch Jail that was recently annexed into city limits.